The weekend at the Golden Fine Arts Festival was a success-not much rain, not too hot, lots of people and I had a great show! Many thanks to all the volunteers who make that show happen. And many thanks to my customers–thanks for supporting my work! My next and last show of the summer is August 29 & 30, the Evergreen Fine Arts Festival. Stop by & say hi. getting ready for the Golden Festival this weekend. Forecast says it will be cooler than it is now, but rain is in the forecast for Saturday night. I hope it rains & passes through. Last year it rained on us Saturday and the crowds ran for their cars. Sunday was really busy, the sun came out & the crowds returned. This is an old bird house I made, sitting on a post in the garden. and frustration! I now have two copies of every photo I’ve ever taken. Must find time to go through & delete photos. I’ve lost my email address book for now, please send me an email, so I have yours!! 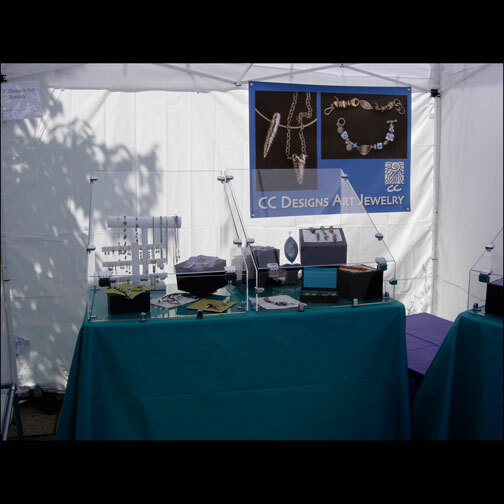 On the brighter side, I had a fabulous month selling jewelry at the Evergreen Gallery, I am restocking there, and Baby Does Clothing, in Golden, will be featuring jewelers they represent that are in the Golden Fine Arts Festival. Stop in there & look at the case featuring my work! I am almost up & running under full computing power. But I still have lots of work to do. I have all my music, and all my photos & files. Hopefully I will have time this week to finish. Wanted to post some flowers taken with my macro lens. I love the dandelion!